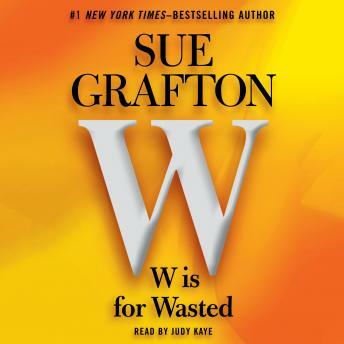 I have listened to all of Sue Grafton's books up through X and this was a good one. I really enjoyed it as it is very suspenseful. There were times when it was hard to make myself put it down. As always Judy Kaye makes the characters come to life. I have enjoyed all of her books. Never a dusappintment! Her books get better as toy read them! This one is a must!! What a wonderful winning combination - the incomparable, Tony Winner Judy Kaye and the consistently astounding Sue Grafton. The characters are comfortably familiar and the story is complex and mysterious enough to hold your undivided attention beginning to end. This author and actor are always a win-win proposition.